New and Used Lincoln Dealer St Paul | White Bear Lincoln, Inc. Discover the latest in refined Lincoln vehicle inventory, financing specials, and expert auto maintenance near you. At White Bear Lincoln, we are committed to providing you a high-quality car-buying and car-maintenance with some of the newest Lincoln cars, parts, and accessories in the Minneapolis-St. Paul area. Minnesota drivers near Hugo, Stillwater and out to Hudson, Wisconsin can rely on our St. Paul Lincoln dealership when you're looking for genuine parts and refined Lincoln models at competitive prices. We put your driving experience first at White Bear Lincoln, and with our latest selection of Lincoln Continental, MKC, Nautilus, and Navigator you are never too far away for the newest models from Lincoln. Pairing performance with premium features, drivers can explore our new Lincoln vehicle inventory for third-row seating, heated side mirrors and seats, power liftgates, and more advanced features to ensure you're comfortable and moving throughout the year. When you're looking to add some refined luxury to your day, drivers can explore our new inventory of Lincoln Continental and MKZ options. These sophistic cars are complete with four-cylinder engines that achieve up to 28 HWY mpg to handle your long trips down I-94. All-wheel drive, a navigation system, wireless Bluetooth connectivity, and parking systems help to take the stress out of your day while quality leather interior adds a luxurious touch. Those looking to pair Lincoln's standard for quality with advanced performance can explore our durable Lincoln MKC, MKT, Nautilus, and Navigator L SUVs at White Bear Lincoln. These robust SUVs deliver on intelligent performance with SelecShift automatic transmission to provide a seamless driving experience. All-wheel drive, satellite radio, and a spacious cabin area give your SUV driving an edge from the inside out. Visit us today to test drive our latest Lincoln SUVs and sedan as well as our complete vehicle lineup. Our complete Lincoln inventory connects you with refined drivability at a range of price points. Come in today to learn more with a test drive of our Lincoln cars and SUVs as well as off-brand trucks, cars, vans, and SUVs in St. Paul. Driving home in your select new or pre-owned Lincoln is within reach at White Bear Lincoln. Our expert Sales professionals can get you started towards financing your Lincoln with our flexible leases and simple auto loan application process. 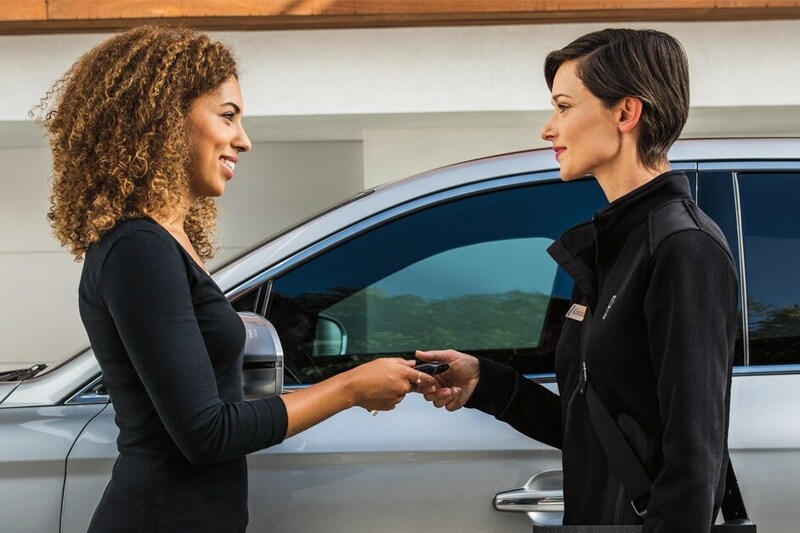 Our versatile auto-financing options connect you to the best possible payment plan that fits your needs. Depending on your personal budget and driving needs, we can work with you to determine whether buying, leasing, or applying for an auto-loan is right for you. Don't have time to stop by? Get started today with our secure and easy-to-use online financing application form. Apply for financing or value your current vehicle to begin financing all from your home or office. We regularly offer financing specials and incentives to help you save more on your next vehicle purchase. Visit or contact us today to learn more about our financing options and specials at White Bear Lincoln. When your Lincoln needs a routine maintenance check or auto repair, our service and parts department at White Bear Lincoln make it possible for your Volvo to receive the expert care it needs with very little downtime. Contact us or schedule your next service appointment with us online today for your next tire rotation, oil flush, or battery check. Our dealership maintenance technicians work with your specific Volvo to help restore it to factory standards when the least expected occurs. From matching your Volvo's paint color to replacing with genuine parts, you can rely on our dealership to keep your Volvo high-performing when you need it most.